Crispy coated outside and tender flaky fish inside. Excellent for halibut, cod or any other firm white fish. Dry fish and cut into 4 portions. Place egg in shallow dish. Place breadcrumbs in a 2nd shallow dish. 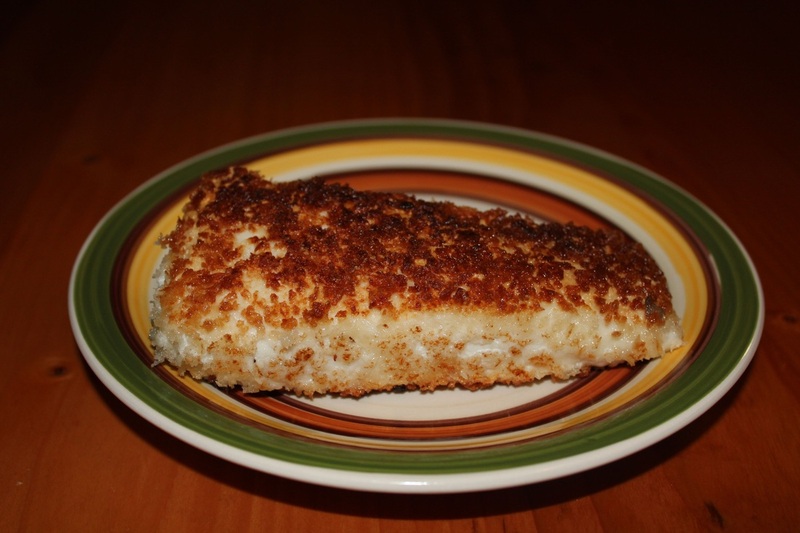 Dip fish in egg, then dredge in breadcrumbs. In a large skillet heat canola oil. When oil is hot fry fish 3-4 minutes or until golden. Carefully turn fish over and cook until fish easily flakes with a fork.